Q. I've read news reports that the heartburn drug I take may cause heart attacks. Should I worry about this? A. Several studies have reported an association between proton-pump inhibitors (PPIs) and heart attacks. 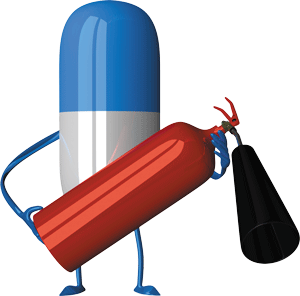 PPIs are medications for heartburn, such as omeprazole (Prilosec) and pantoprazole (Protonix). Overall, however, the evidence suggests these medications are not risky for your heart.